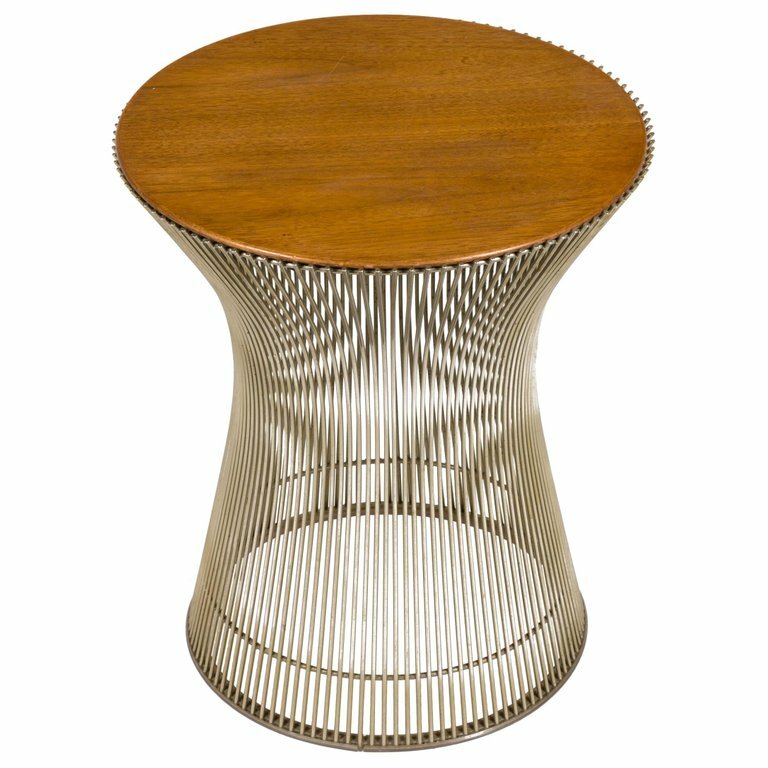 Part of the Platner collection by Knoll in 1962 the side table well demonstrates Platner's Industrial materials married with the graceful organic design. 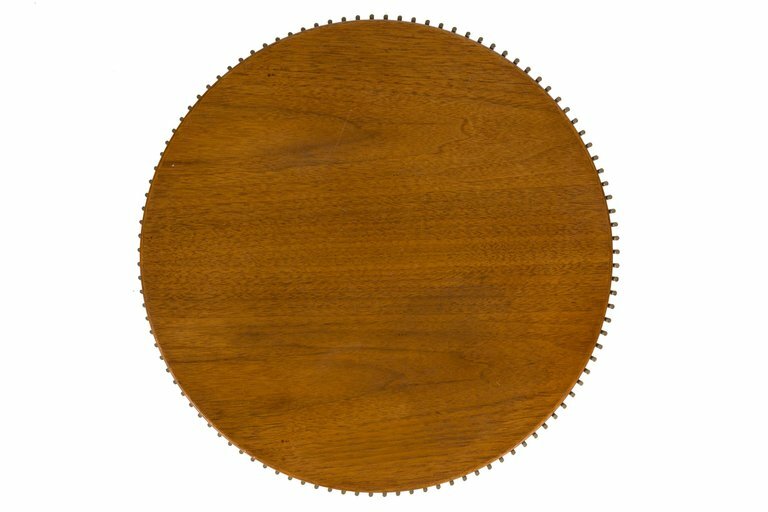 The table is constructed in walnut top and chrome base. H 18.75 in. x Dm 16 in.